Some tips and guidance on the best tackle to use on the Stinchar. List of fishing beats on the Stinchar, and their contact details. Please read this before you fish, and report all your catches. The River Stinchar is one of the most productive of the Ayrshire salmon rivers and it has some excellent fly water. 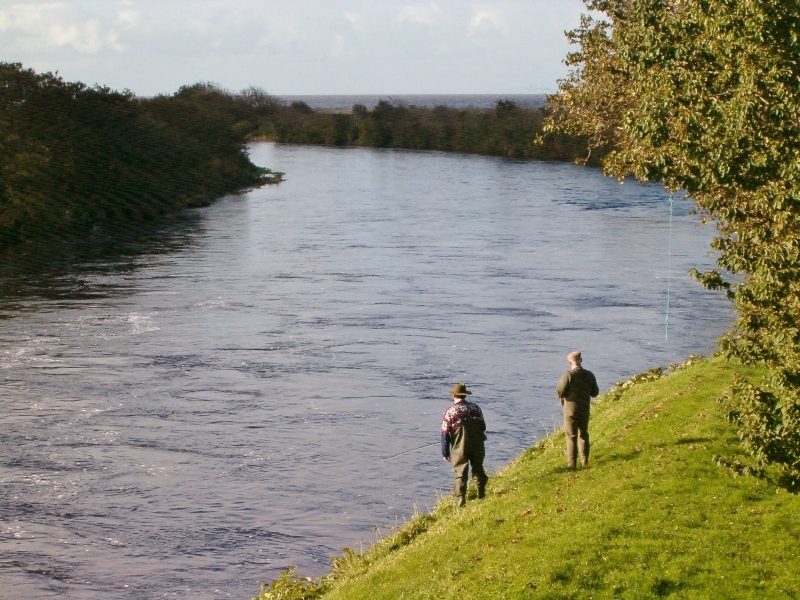 The Stinchar is a typical west coast spate river – fishing is at its best in a falling water immediately after a summer or autumn spate. 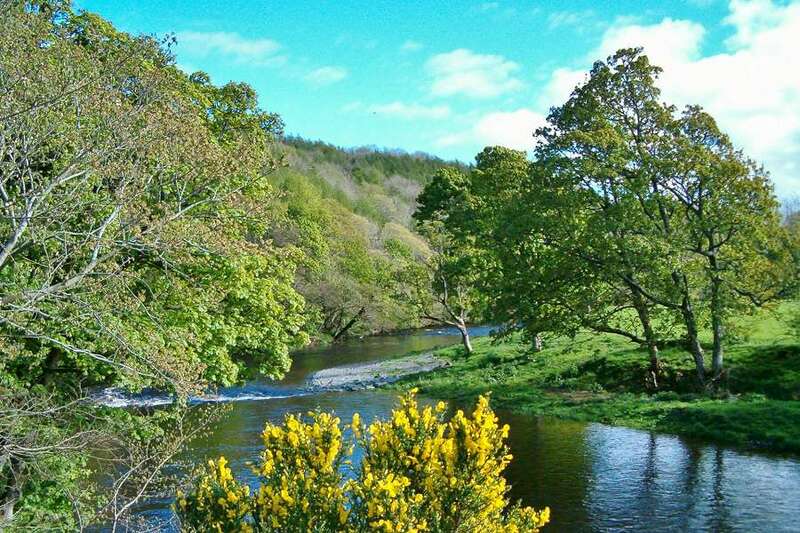 The river is 54 kilometers long, and rises in Shallochhill, in the Carrick Forrest, then runs through the beautiful Stinchar valley and the villages of Barr, Pinwherry, Colmonell and into the sea at Ballantrae. It has two main tributaries, the Duisk and the Assel. The Duisk rises in a more southerly catchment and is sometimes in spate when the Stinchar proper, upstream of Pinwherry, is flowing at normal level. 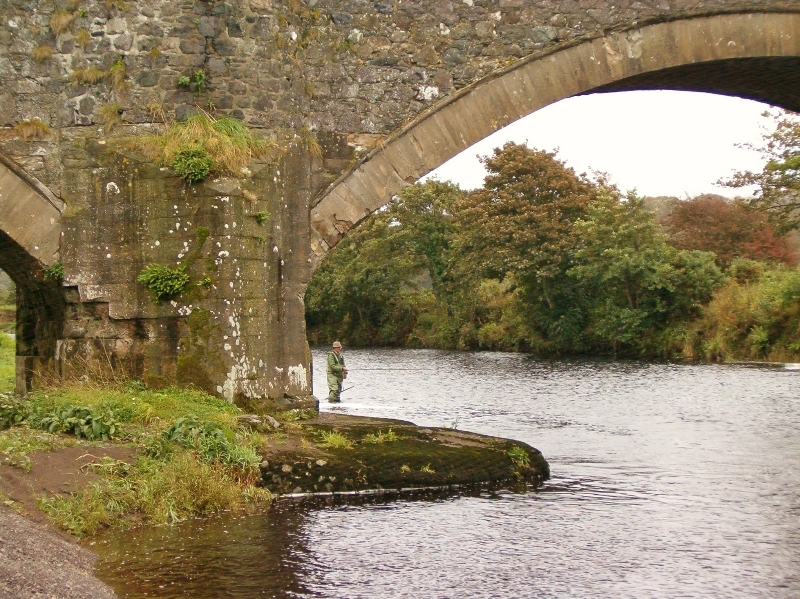 The best months to fish the Stinchar are September and October. However, a wet Spring and/or Summer can produce good sport in the early months, particularly June, when a few good double figure fish are to be found in the river. The upper beats fish well during spate conditions, though the fish tend to come later in the season and sport is limited due to the lack of sustained water. 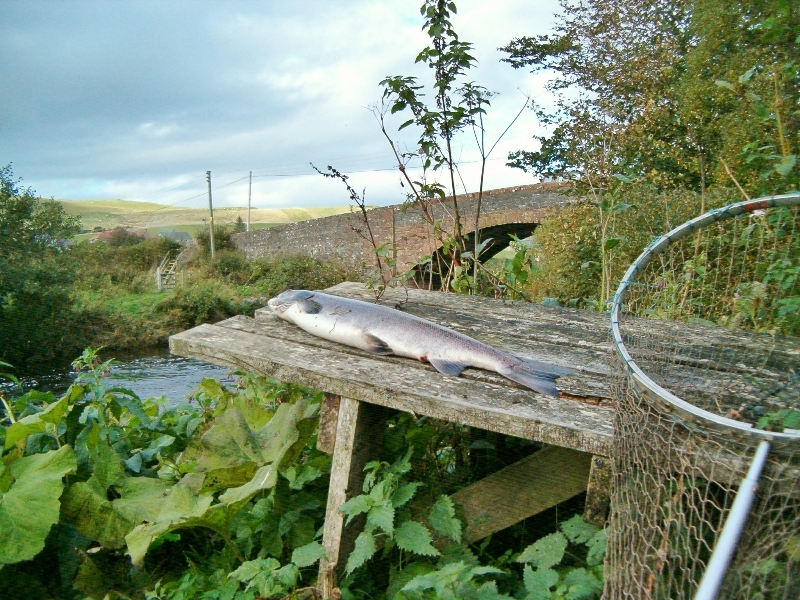 In 2004 we saw a return to the “Good old days” when after a wet spring and summer, large numbers of fish returned to the river giving good sport throughout the season. Even during the month of October a large number of grilse, fresh run, and sea-liced were to be found in the river. The average size of the Stinchar salmon is not large, being between 8-12 lbs, though good double figure fish are taken regularly and fish of 20 lbs plus are not unknown. The dedicated angler should be prepared to be on the river at all hours when the conditions are right, early or late, and miss no chances. The sea trout and herling stocks have been decimated in recent years and have been almost non-existent. However they are slowly returning, and the policy of returning all of these fish to the river can only help. Colmonell Angling Club for local residents. 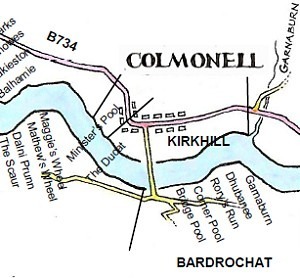 Day tickets are available on the Colmonell Angling Club stretch of the river for friends of members only. 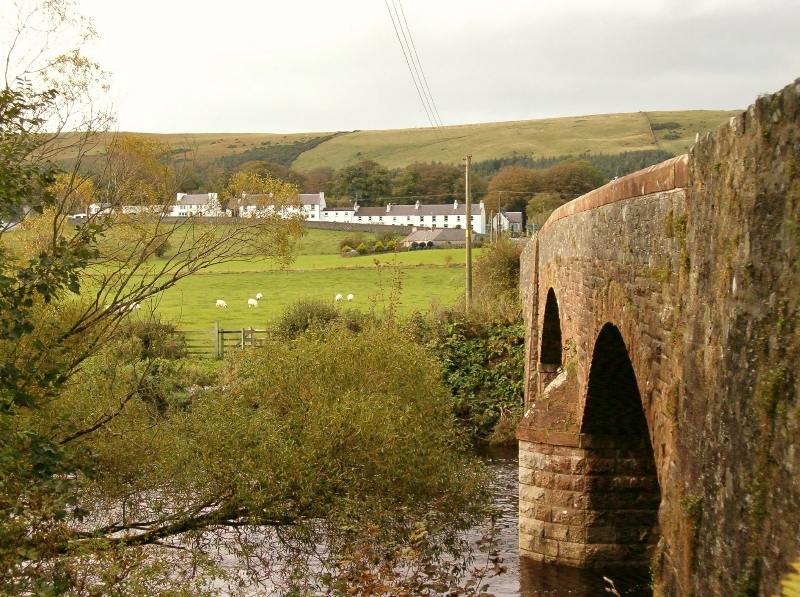 Should you be unfortunate enough to visit the Stinchar when the river is very low and unfishable, you could always fish one of the local lochs for brown or rainbow trout, or try sea fishing from the beach or from a boat which can be hired at the harbour at Girvan 12 miles north of Ballantrae. 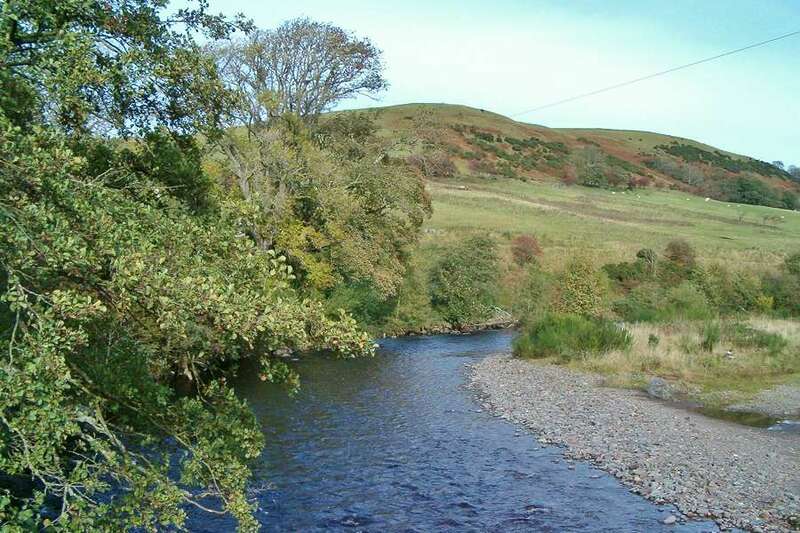 Try out Pinbraid Fishery at Garnaburn, near Colmonell. As a last resort bring your golf clubs and play some of the excellent courses, situated only a few miles from the river.